TAMPA, Florida, Feb. 5, 2019 /PRNewswire/ — Through passionate commitment to sustainability, diversity and inclusion, regional economies, and more, business school graduates make a positive global impact. 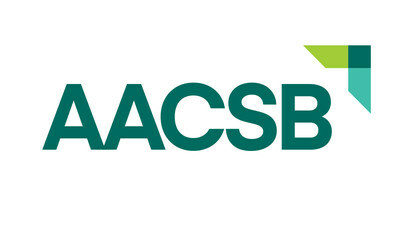 Today AACSB International (AACSB)—the world’s largest business education alliance—honors 33 such graduates as its 2019 Class of Influential Leaders. An annual initiative, the challenge recognizes notable alumni from AACSB-accredited schools whose inspiring work serves as a model for the next generation of business leaders. Each honoree is recognized as a leader or innovator within their industry, a contributor to their community or society, and an inspiration to future business leaders. The stories of how each of the 33 honorees, representing schools in 13 countries, have positively influenced their industries and society are available at aacsb.edu/influential-leaders. Now in its fourth year, the Influential Leaders challenge has recognized almost 200 business school graduates for creating lasting impact in business and society. All honorees have earned an undergraduate, graduate, or doctoral degree from one of the more than 800 AACSB-accredited business schools worldwide. For more information on the Influential Leaders challenge, and to view a full list of honorees, visit aacsb.edu/influential-leaders.